First edition, second printing. Octavo, original cloth. Signed by N.T. Wright on the title page. Fine in a fine dust jacket. Paul: In Fresh Perspective comprises the Hulsean Lectures Wright delivered at Cambridge. 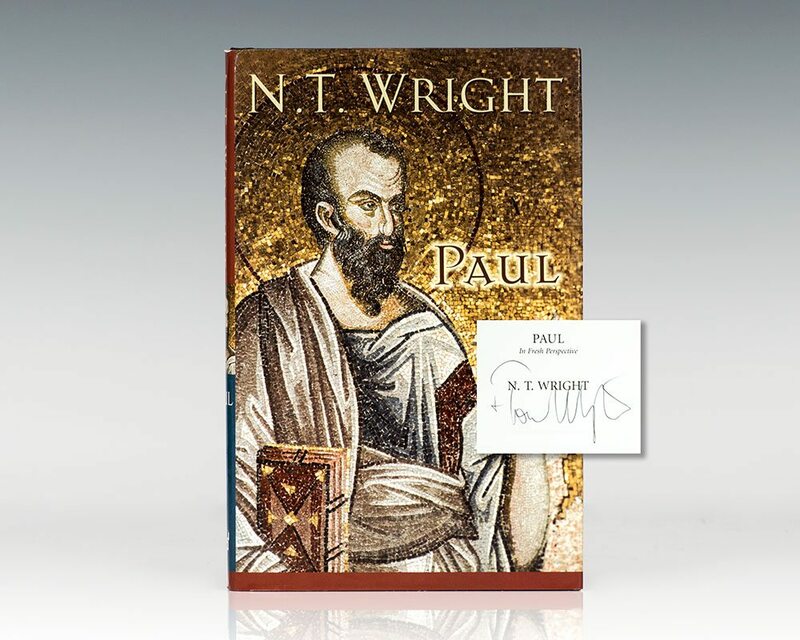 These lectures, Wright says, are a further development beyond another small book he wrote, What St. Paul Really Said. In Paul in Fresh Perspective Wright hits themes familiar from that earlier book: the narrative of creation and covenant, Messiah and apocalyptic, and gospel and empire. The most controversial of Wright's emphases are those which have a bearing on justification. He is famous for arguing that justification is not about how you get into God's family; it's proof that you are in. It's God's declaration that you are, in fact, part of His covenant family. He thus questions the traditional Reformation doctrine of imputation. In the second half of Paul in Fresh Perspective, Wright takes Jewish theology as an organizing principle for laying out a Pauline theology, viewing it through the three primary lenses of monotheism, election, and eschatology. This is a work with a popular look but a scholarly appeal. 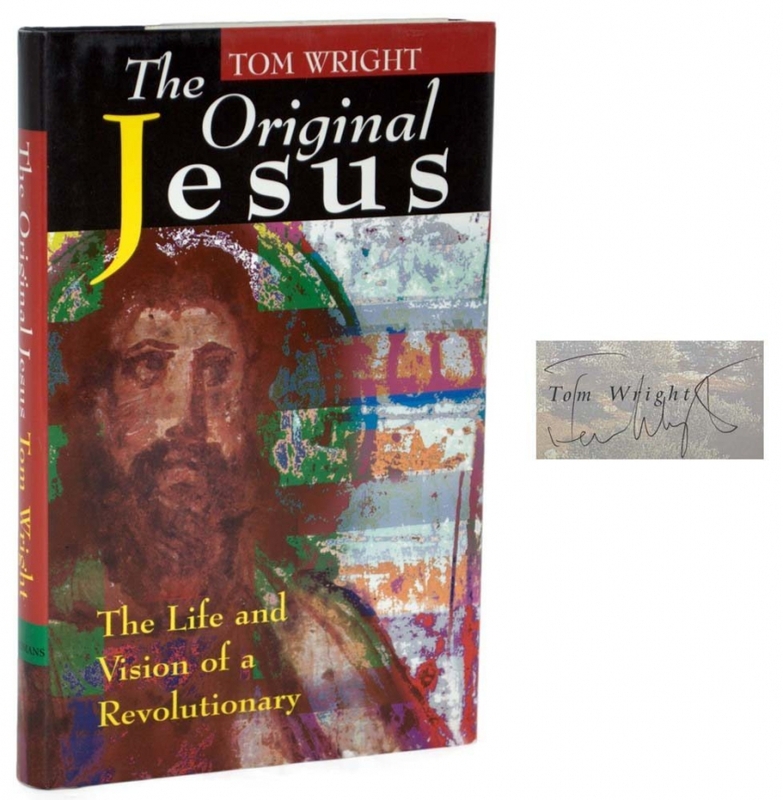 It appears to be a forerunner to the fourth volume of what will likely prove Wright's magnum opus, the New Testament and the People of God series. London: Society for Promoting Christian Knowledge, 2003. First edition. Octavo, original original illustrated wrappers. Inscribed by the author on the title page, “For Keith with thanks for all your support and friendship Tom Wright.” In near fine condition. 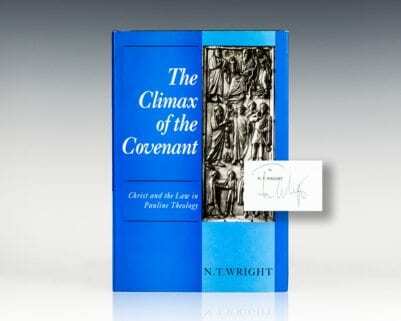 The Climax of the Covenant: Christ and the Law in Pauline Theology. Minneapolis, MN: Fortress Press, 1991. First edition. Octavo, original cloth. Signed by N.T. Wright on the title page. In fine condition. Grand Rapids, MI: Eerdman's Publishing, 1996. First edition. Octavo, original black cloth. Signed by the author on the title page. Fine in a fine dust jacket. 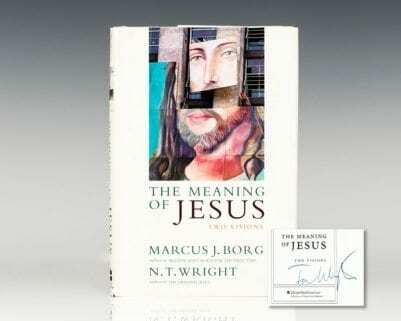 Borg, Marcus & Wright, N.T. San Francisco: Harper Collins, 1999. First edition, second printing. Octavo, original half cloth. Fine in a near fine dust jacket. Signed by N.T. Wright on the title page.